University of Minnesota head mens coach Geoff Young offers his expert opinion on how tennis players can maximize their speed on the court by not running past the ball. Tips like this and more are taught at summer camps offered by Nike Tennis Camps. Tennis is played with the feet first, the mind second, and then the hands. Coach Geoff Young explains, "Tennis is played with the feet first, the mind second, and then the hands. The efficacy of how we're able to cover the court will prove to be a huge step in maximizing our abilities. One area of footwork is the efficiency of recovery, and how this impacts our ability to retrieve yet another ball back into play." With over 11 years of collegiate head coaching experience, Young has had time to observe his players and notice where common mistakes occur. Coach Young says, "When chasing down a ball in the corner, I often see players get to the ball, hit it back, and proceed to keep running a few steps before stopping and returning to the middle of the court before having to chase down the next ball. This will slow a player down, as the player will actually be wasting valuable time running more than they need to." The type of surface and a player's comfort level on that surface also play a big role. "On the surface of clay, you will see the clay court specialists begin their slide prior to striking the ball, and subsequently stop their slide right as they hit the ball, letting them immediately recover upon completion of the shot" explains Young. "Many players who aren't as comfortable on clay will keep sliding or even begin their slide after they hit the ball, carrying them in the opposite direction they need to be recovering. Be aware of how quickly you're able to stop and start recovery back to the middle third of the court, limiting the amount of steps taken beyond the point of impact." Coach Geoff Young was a Two-time all-Big Ten player for Northwestern University. 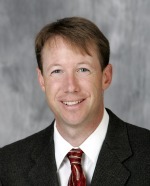 He is currently in his sixth season as head men's coach of the Minnesota Gophers. Prior to Minnesota, was the head coach at the University of Denver for six years. With two straight appearances in the second round of the NCAA tournament in 2009 and 2010, Geoff Young continues to set the outlook high for the Minnesota men's tennis team. To get more tips and instruction from Coach Young, check out his Nike Tennis Camp at the University of Minnesota. Nike Tennis Camps offer junior and adult day and overnight tennis camps at 73 locations nationwide. The camps provide first-rate instruction, match play, diversified social activities, exposure to life in a university setting – and the chance to build lasting friendships. Our goal is to give players the opportunity to hit thousands of balls, improve their technique, and be challenged by some of the best players in their peer group. US Sports Camps (USSC), headquartered in San Rafael, California, is America’s largest summer sports camp network and the licensed operator of NIKE Sports Camps. Founded in 1975, Nike Tennis Camps is a division of US Sports Camps. What began 37 years ago as one tennis camp is now a national network with more than 500 camps across the country in a wide variety of sports. Players, coaches, parents and others interested in Nike Tennis Camps and US Sports Camps can visit the company’s website at ussportscamps.com or phone 1-800-NIKE-CAMP.